(21 pages, stapled, card cover). Through the years 2000 to 2007 I wandered through the shadows of cancer valley. As I emerged from those shadows so have these poems. They are a consequence of my journey. Without it I could not have written them. It was an expedition I would never have chosen to make and yet it has enriched my life. I did not find suffering ennobling but it was informing. Eventually I became a survivor but I don't think I'll ever feel as young as I did before! I am immensely grateful to all those - doctors, nurses and other hospital staff, my family and friends, fellow patients and all others who saw me through the dark. 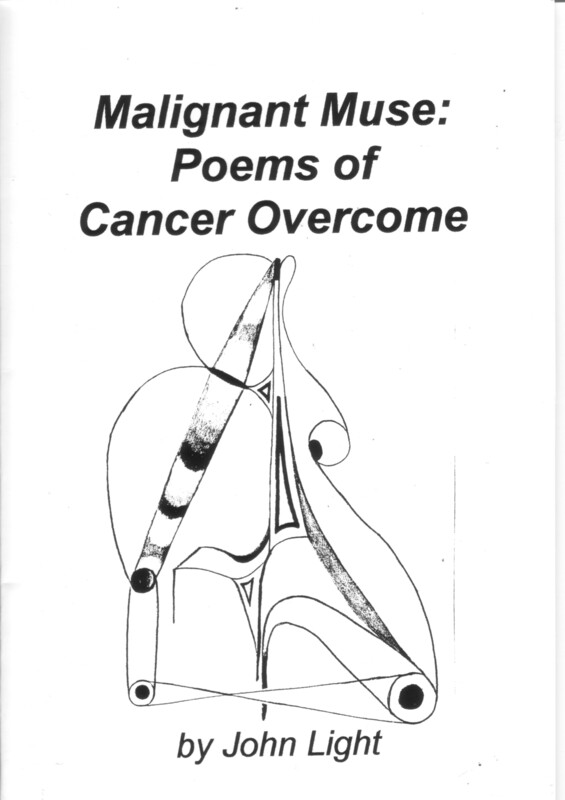 I dedicate this collection to them and to the memories of my mother Betty Light who won her own confrontation with cancer and my father William Light who didn't and to the National Health Service, to all those who work in it, all those who depend on it and all who support it. It is one of Britain's finest achievements. "We must cut deep and wide,"
You will need a skin graft." from the valley of death? I knew I would be back. At last I know what can't be done. I cannot flee, I cannot hide. The hound of death won't be denied. the lonely confines of my cell. I was sundered from all others. of the craving for when. but I don't feel my mind is scarred. and regained my joy in living.